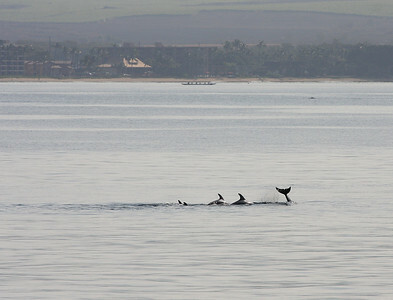 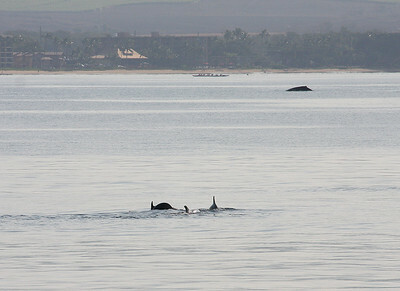 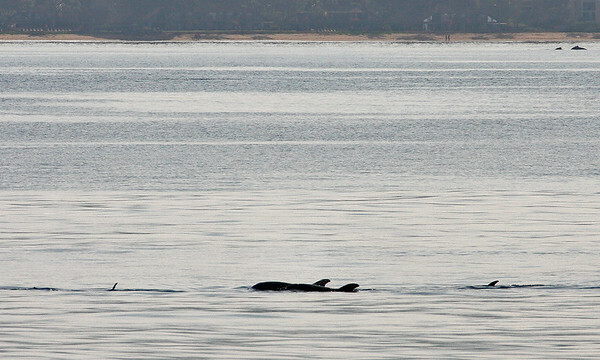 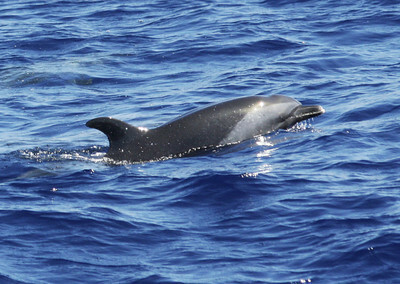 Dolphins are common in the waters surrounding Maui and the other Hawaiian Islands. 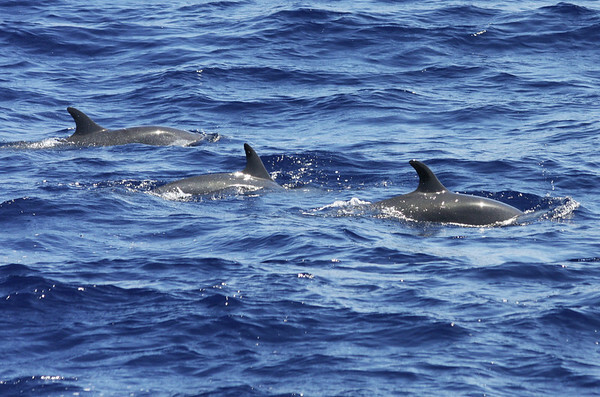 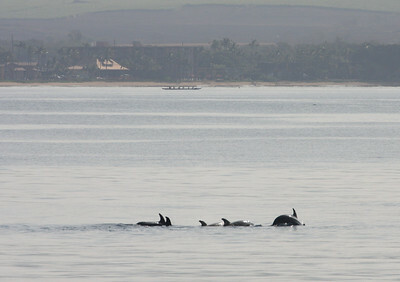 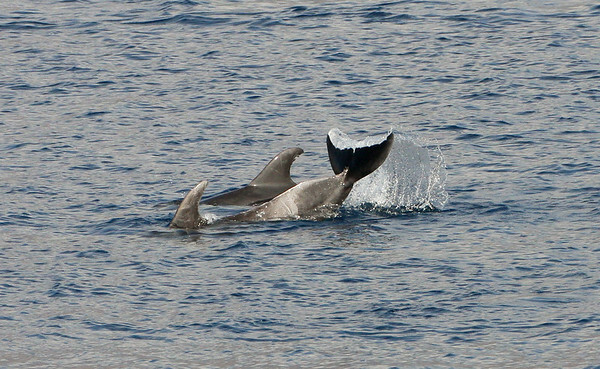 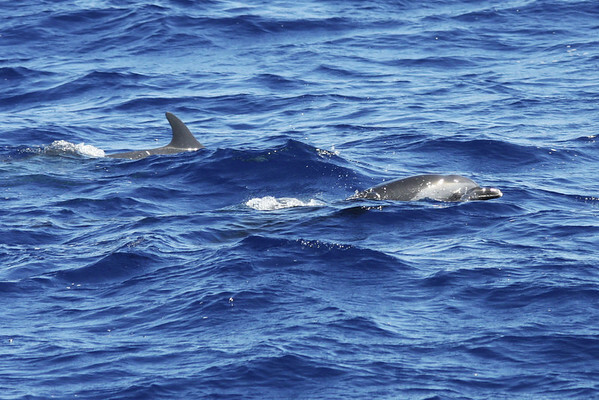 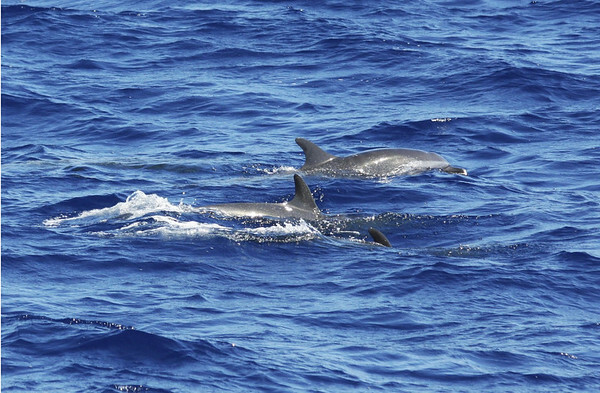 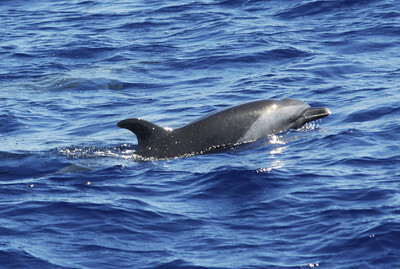 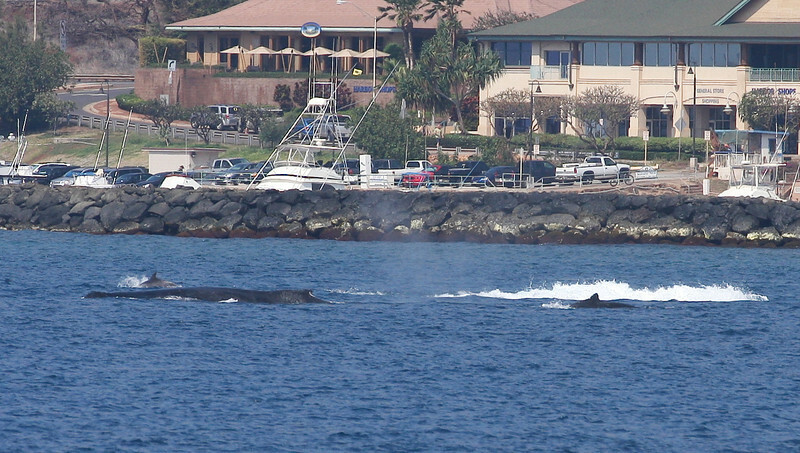 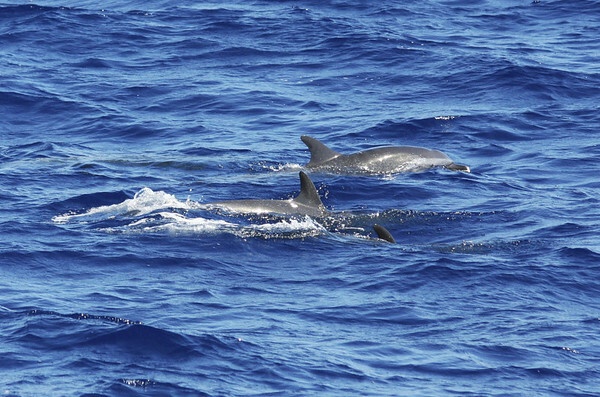 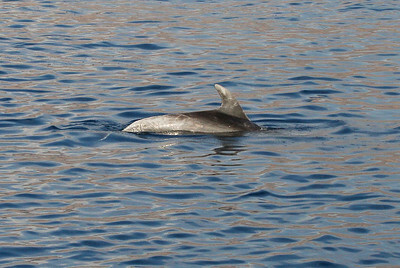 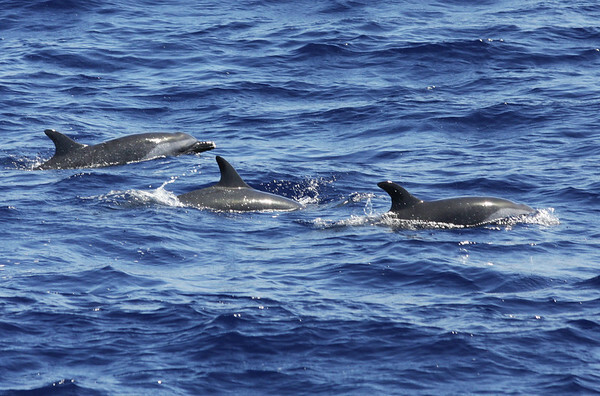 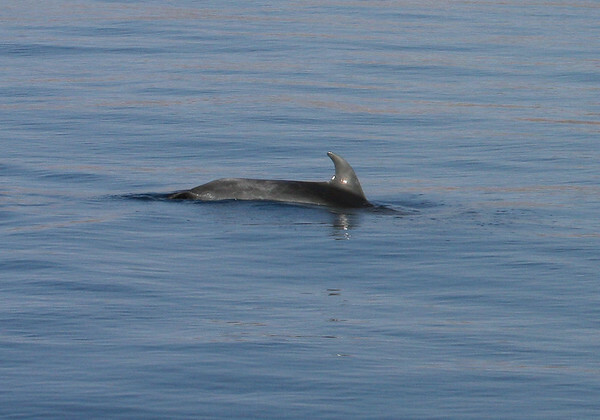 Spinner Dolphins and Bottlenose Dolphins are often seen in the channel between Maui and Lanai. 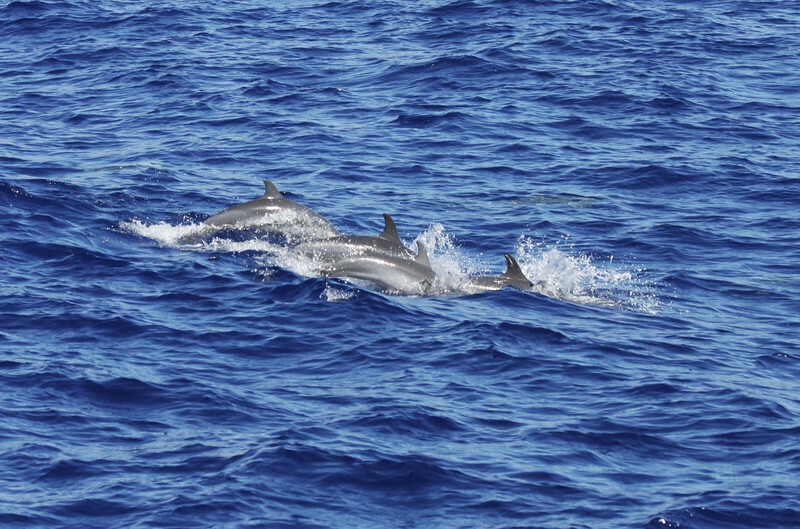 These photos were all taken in Ma'alaea Bay, south Maui, Hawaii. 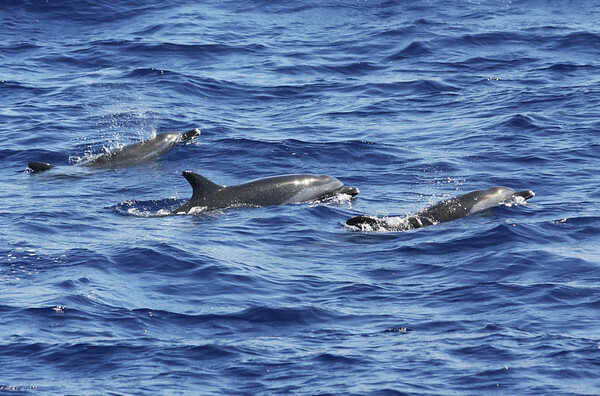 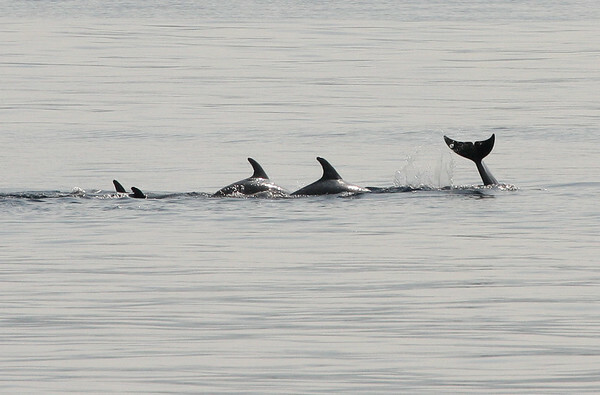 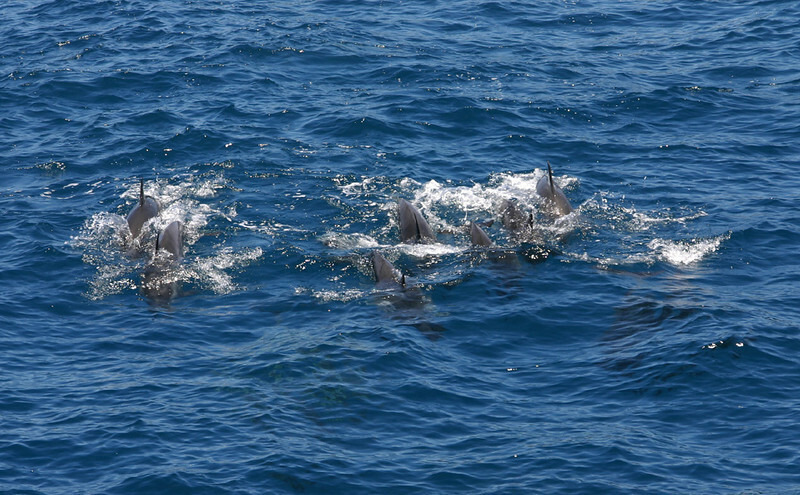 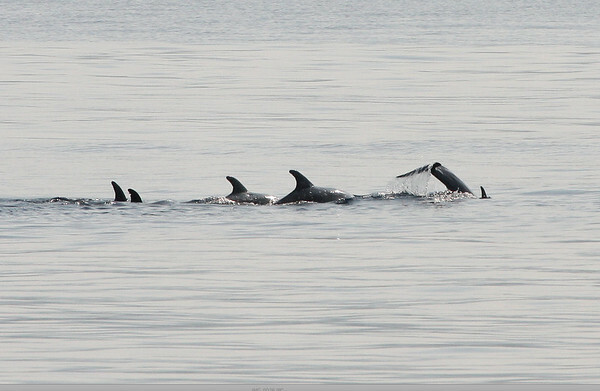 A large pod of Spinner Dolphins (Stenella longirostris) playing "Get the boat, get the boat!" 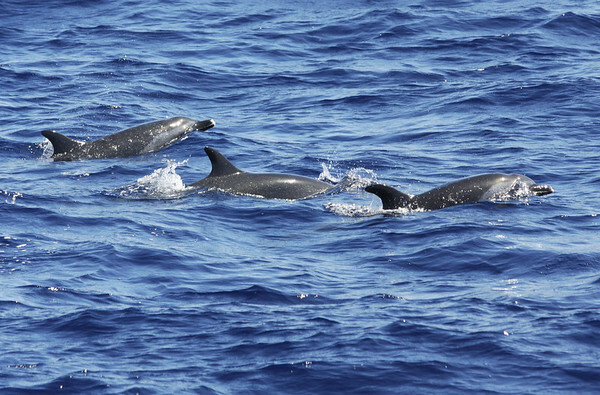 Manele Bay, Lana'i.